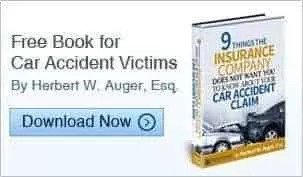 As car accident attorneys, we here at Auger & Auger receive questions on a daily basis. While every car accident is unique, there are many components that can be the same. For example, a car accident involves one or more cars. There is normally property damage, and there may be injuries. Just as there are common elements in car accidents, some are a bit more unusual or rare than others. 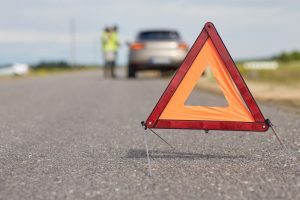 Here are some questions we get about car accidents with circumstances that are a bit out-of-the-ordinary — knowing the answers may help you in your own situation. 1. What if my child was involved in an accident in a driver’s ed car? If your child doesn’t even have a driver’s license yet, you may be wondering if they are legally liable for the accident. Proving fault in this situation can be tricky. A lawsuit may be brought against both your child and the instructor depending on who was operating the vehicle at the time of the accident and if there was negligence involved. In many cases, fault may lie with the instructor because they are trained to intervene in emergency situations. 2. Can I be held liable for an accident that occurs during a test drive? Yes. This is the reason that you are asked to produce your driver’s license and insurance information before you are permitted to take a car for a test drive. The car dealership may have insurance that can cover the costs of an accident beyond what your insurance will cover, but you can be legally sued in civil court if the victim decides to pursue that route. 3. I was rear-ended and sent into the back of the car in front of me. Am I liable? Generally speaking, you are not liable for being pushed into the car in front of you if you were far enough away from that car. On the other hand, if you were riding the car’s bumper, you may be cited for following too closely. In the majority of cases, the person at the end of a chain collision is the one who will be held legally liable for the accident. In all cases, the unique set of circumstances will come into play. 4. What if I’m in an accident in the company car? Things are a bit gray if you are involved in an accident while driving the company car. If you are driving in the scope of your duties, your employer may be held liable, and you may be entitled to workers’ compensation — if you weren’t at fault. If you are driving to or from work, you could be held liable. If you are involved in an accident while driving your employer’s vehicle, you should consult an attorney to determine who may be held liable and what your options are. 5. I’m an Uber driver and was found at-fault in an accident, am I liable? Uber carries insurance for its drivers and, in most cases, will cover an accident caused by a driver. A driver being personally on the hook for an accident may depend on if they were actually ferrying a rider at the time of the accident. At Auger & Auger, we have experience in all types of car accident in Charlotte. Reach out to our team for a free consultation today. If you were injured in an accident, there are options available to you under current state law. Seeing it makes your stomach turn. You flip on the evening news and see a clip of an adult abusing a child in a daycare. Your thoughts immediately turn to your own child who spends the work day in the care of others so you can bring home a paycheck. What if that was your child? Would you know if your little one was being mistreated or abused? Here are ways that you can protect your child from daycare abuse. One of your biggest clues to problems at a daycare is your gut, so trust it. Before you enroll your child in a daycare, go and check it out. Take a look around, speak to the staff and, if possible, observe lessons or activities. Keep in mind that a daycare may not allow you to participate in activities for legal reasons, but there is no reason that they won’t let you visit. If you feel like something is off or not the right fit for your child, continue your search. You can also talk to other parents and see who they are trusting with their children. This is a great way to start creating your list of care centers to visit. Parents will have strong opinions one way or another with regards to who is caring or has cared for their little ones. If your child is already enrolled in a daycare, ask them about their day, every day. Small children are more apt to talk about their day than older kids, so it shouldn’t be too difficult to get information from them. Ask your child how their day was, find out what they learned, ask what their favorite part of daycare is, what their favorite games are and anything else you want to know. If your child is too young to talk in a way that provides you much information, you can role play. No parent should have anything but complete trust in a daycare, and no child should have to tolerate abuse or mistreatment. If you feel as though your child may be being abused, file a complaint with your local police department. If you know that your child has been mistreated at a daycare center in Charlotte, reach out to Auger & Auger for fast assistance. We will schedule an appointment for a free case evaluation and review the details of the mistreatment so that we can better advise you of your options. Picture this: You walk into your favorite store to browse and maybe purchase something that catches your eye. You are walking down your favorite home-goods aisle and before you know it, you are lying on your back. You feel a sharp pain in your wrist that does not subside. You have slipped on a wet patch of flooring, fallen and broken your wrist. Now what? Any business that welcomes the general public onto their premises has a duty to keep their visitors reasonably safe. Whether it is a big box store or a local small business, you have the expectation that you will walk out of the store as healthy as you were when you walked in. When a customer is involved in a slip and fall incident inside the store, they may have the legal grounds necessary to file a claim against the business provided key issues are met or proven. A business owner, and the business’s employees, possess a duty to keep the premises safe. For an employee, this may mean alerting a manager to potential hazards. For a manager, this may mean eliminating hazards as quickly as possible. As a customer, you have the reasonable duty to behave appropriately in a store. That is, if you are injured because you decide to climb a shelving unit to reach an item despite warning signs, you may not be compensated for those injuries. If your actions caused your accident, even partially, your award may be reduced or eliminated altogether. In 2012, a woman slipped and fell on a puddle of soap in an aisle of Costco. The plaintiff was able to prove that several employees had walked by the spill, doing nothing to clean it. The woman suffered a shattered kneecap, and Costco was ordered to pay over $400,000 to the victim. Costco employees were found to be negligent in ensuring the aisles of the store were free of hazards. A woman fell on a piece of spilled food at Costco. She injured her tailbone. Because employees were passing out free food samples nearby, the woman argued that they were not adequately inspecting the floors as they should have been doing. A jury sided with the store. They said that the hourly floor inspections were adequate and that employees were not shirking their duties. Each slip and fall case is unique, and a store may or may not be held liable for a person’s injuries. Anyone who has been injured while walking through a store or business should contact a personal injury attorney to determine whether or not they may have a case. If you have been injured in this type of accident in Charlotte, call an experienced attorney at Auger & Auger Law. We will review the details of your accident and help you determine if you have a case for compensation. Contact us today or browse our website for more information about our firm and the types of cases we have successfully handled. When you hire an attorney and file a personal injury lawsuit, your ultimate goal is to prove that someone has been negligent. Once this has been proven, your attorney will work to prove that the negligent party’s actions caused your injuries. When both of these elements are proven, a judge will award damages in the case. Damages are a monetary award that compensate a victim for any injury or property damage that has occurred due to another person’s negligent actions. There are two main categories of damages that a defendant may be ordered to pay: compensatory and punitive. Compensatory damages are the standard that is sought in court. They are meant to pay back the victim. Punitive damages are sought in extreme cases as a way to punish the person who is found to be at-fault or negligent. These damages are awarded for actual loss. Compensatory damages are normally sought when a victim has been injured. The purpose of compensatory damages is to restore the victim’s financial status to the state it was in before the injury. Under the umbrella of compensatory damages are those for tangible losses and intangible losses. 1. Tangible losses include medical treatments, loss of income, loss of property and legal fees. These damages are easily calculated using receipts, bills and estimates. Damages awarded for medical costs may include those that have already been paid and those that a doctor deems will be necessary in the future. 2. Intangible losses include pain and suffering, emotional distress, loss of enjoyment and loss of consortium. Intangible losses are not as easily calculated. These types of losses may be calculated based upon testimony from the victim, friends and family and even experts. Punitive damages are exactly what they sound like: Punishment. These damages are awarded in addition to compensatory damages and are meant to serve as a warning or motivator to the at-fault party to not behave in a specific way again. Punitive damages are not awarded in every case. A judge typically only considers punitive damages when the plaintiff is determined to have acted in a way that disregarded the safety of others. To be awarded any type of damages, a victim must prove fault. This is done by entering evidence against the plaintiff. When a personal injury attorney is able to prove that the plaintiff’s actions caused injury or property damage, they will be made to compensate the victim of their actions. In some cases, depending on the types of damages awarded, there may be a cap, or maximum amount, set. If you have been involved in an accident in Charlotte and believe that your injuries are due to someone’s negligence, you may have the elements necessary for compensation. Reach out to Auger & Auger Law today for a free case evaluation. We will sit with you to discuss the details of your accident and advise you of the options available to you under current state law. Call us today or browse our website for more information about our firm and the types of cases we handle. In a recent turn of events, two students at the Charlotte School of Law in North Carolina have filed a lawsuit against the institution. In the lawsuit, the two students, Robert C. Barchiesi and Lejla Hadzic, claim the for-profit school hid ongoing academic issues in order to continue collecting tuition money. Tuition and expenses at the school is about $60,000 a year. The lawsuit names $5 million in damages for the named plaintiffs, as well as other students affected. The lawsuit comes after a December 31 announcement that federal student aid will be cut off by the US Department of Education for misleading prospective and current students regarding the school’s accreditation by the American Bar Association. This was the first time in US history a fully-accredited law school has lost access to student loans and other financial aid. Within the class action suit, the Charlotte School of Law is accused of engaging in misrepresentation, breach of fiduciary duty, unjust enrichment and constructive fraud. The Charlotte School of Law has seen its fair share of issues when it comes to the American Bar Association. As far back as March of 2014, the ABA scrutinized the school over its lacking on admissions, bar exam pass rates and overall academic rigor. January of 2015 was when the school was first told it was failing to meet certain standards.They repeated their warning in February and July of 2016 as well. Those warnings came with the demand that the CSL tell their students what was happening — the school did not. The school appealed the finding, but the ABA upheld its ruling in October. The next month, the school was put on a two-year probation and the ABA findings were made public. However, CSL maintained its accreditation. Finally, in December, the US Department of Education stated that they would be pulling all federal aid from the school. Of the about 700 students at the school, it is unclear how many receive federal aid, but the school received nearly $50 million in federal aid in 2015. However, the CSL’s problems go back even further, to the founding of the school in 2006. Before the school opened, Charlotte was the largest city in the United States without a law school. When the first 53 students graduated in 2009, only 67 percent of them passed. That was the lowest rate among the seven law schools in the country. For comparison, Elon University opened its law school in 2006 as well. Of the 98 first graduates from there, 83 percent passed the bar. In 2016, the CSL pass rate for the bar hit a low of 35 percent. However, a recent announcement from the school states that it will reopen for the spring semester. To do so, at least 500 students needed to commit to taking classes in the spring. But, the school has also announced it would not be accepting new students for this semester. Though it is unclear what the future of the school looks like, it does appear students who are one semester away from graduating will be able to leave the school with an accredited law degree. Regardless of the outcome of the lawsuit, students who attended the CSL may be eligible to have their federal loans forgiven under borrower defense. This is reserved for students whose schools committed fraud, misled them or otherwise broke certain laws. There is no court date set as of yet for the class action lawsuit. You can find the full text of the lawsuit here. If you have been involved in a car accident, you may be considering hiring a personal injury lawyer and filing a case in court. It’s typical to have questions, namely: How much is my case worth? Some people avoid filing a lawsuit, believing that the settlement they have been offered by an insurance company is fair. Others hold tight to the feeling that they aren’t “the type” of person to sue someone. The truth of the matter is that insurance companies aren’t out for a victim’s best interests, and the type of person who files a lawsuit is one that wants what’s fair. When you file a lawsuit after a car accident, you may be awarded different types of damages. There is no cookie-cutter approach to determining the amount of damages a victim will be awarded. The amount you are awarded could be negotiated before your case goes to trial, or it could be awarded by a judge after hearing the facts of the case. No matter how you are awarded damages, there are two general types you can expect: compensatory and punitive. When a judge awards compensatory damages, they are attempting to help the victim get back what has been spent and what has been lost. A person can expect to be compensated for medical bills, property loss, and even wages that have been lost due to an inability to work. Victims may also be compensated if they are unable to enjoy life as they once were or if they cannot maintain a personal relationship with a spouse or partner like they did before the accident. Punitive damages are not meant to compensate the victim, but to punish the at-fault party. Punitive damages are rarely awarded in any but the most egregious of cases. Punitive damages are capped in almost every state, eliminating the possibility of a judge “punishing” someone by hitting them with a massive charge to their pocketbook that they can’t afford. The amount that a person may receive after an accident is based upon many factors. A judge will consider the amount of medical expenses the victim has already paid and how much they may have to pay in the future. The judge may also consider the time a victim is required to spend recuperating, whether or not the victim is able to return to work, and if the victim’s ability to enjoy life has been diminished. If you have been hurt in a car accident in Charlotte, reach out to Auger & Auger Law. One of our experienced personal injury attorneys will review the details of your case at no cost to you and help you determine the type of damages you may be awarded in a court of law. When you were a child learning how to ride a bike, your parents undoubtedly gave you all sorts of advice. One of the things they may have told you the first time you went rolling down the road by yourself was to ride facing traffic. It makes sense. When you ride on the wrong side of the road, you can see what’s coming. Unfortunately, and we must apologize to Mom and Dad for saying this: You were given bad advice. Pedaling on the wrong side of the road is not only more dangerous than riding with traffic but, in most areas, it is against the law. While no police officer is going to give a six-year-old a ticket for riding their bicycle incorrectly, they will certainly hand a citation to an adult doing so — or the parents of a kid doing so. Urban areas across the country are being more accepting of bike riders. Dedicated bike lanes have been installed in several cities in an attempt to make riding safer. Where there aren’t dedicated bike lanes, riders must share a greater amount of space with traditional vehicles. Here is what you need to know before you set out upon two wheels again. Bicycles are considered vehicles. In most cities, it is illegal to ride on the sidewalk or on parts of the road dedicated to pedestrian traffic. Bicyclists are legally responsible for following the same laws that dictate how motor vehicles operate on the road. That means staying on the right side, remaining in line with traffic rather than darting in and out of it and obeying traffic signals. If you are riding at night or in the early morning, make sure you understand your city’s laws regarding lights and reflectors on your bike. Let’s ignore the fact that you can be ticketed for not following the law for a moment. While it is certainly true that you could be facing a judge if you don’t follow the law, it could be the least of your worries. Here are even better reasons to obey the law when you are riding on two wheels. It has been shown that people involved in injuries while riding against traffic often suffer those that are more severe. Even a helmet cannot fully protect a rider who has been struck by a car or truck. Keep in mind that a bike rider will often sustain more serious injuries that a vehicle driver simply due to the lack of protection a bicycle offers. A vehicle is less likely to see a bicyclist coming at them from the front. That is because most vehicle drivers expect cyclists to be riding with traffic. You are smaller on a bike and more difficult to see no matter which way you are riding, so improve your chances of being visible by riding with the flow. Because drivers don’t expect to see a bicycle heading towards them, they will be surprised. That surprise will limit reaction time on the part of the driver, making them less likely to maneuver accordingly. If you are involved in a bicycle accident in Charlotte, reach out to Auger Law for a free consultation. We will review the details of your accident and advise you of your legal options. Car accidents occur in Charlotte and the rest of North Carolina on an almost daily basis. From minor fender benders to severe collisions, car accidents are often the fault of human error. Whether a person is distracted while driving, changing lanes improperly or speeding down the highway, accidents typically occur because a driver is negligent in some way. While most people accept that drivers make mistakes, they rarely assume that a police officer will. Somehow, police officers are held to a higher standard and we often forget that they are human, too. One of the first things a driver will do after an accident is summon the police to fill out a report. What happens when that report is incorrect? Police officers in Charlotte are used to filling out accident reports. Most officers will take the time necessary to look over the scene and try to determine what happened and who may be at fault. In some instances, an officer may be in a hurry and fail to gather information from all drivers and witnesses. This can lead to errors in crash reports. When you are given a copy of the report, either in person or by mail, it is important that you look it over carefully. If you notice an error on the report, make an attempt to contact the officer that completed it. You can do this by calling or visiting the police station that the officer works at. Even if the officer refuses to make the corrections, you shouldn’t worry. An accident report is rarely admissible as evidence in court. What can happen, however, is an affect on the amount of the settlement you receive from an insurance company. Here is what you can do to protect yourself. Even if you don’t feel as though you are injured, seek medical attention. You could have a hidden condition that will become apparent in the days or weeks following your accident. When you fail to seek medical attention or document your injuries, an insurance company may deny your claim. It doesn’t matter what type of accident you are involved in. If you are physically able to do so, document visual evidence. Take pictures of the scene, of any property damage or lack of, and injuries. Almost everyone has a smartphone these days, making it very easy to gather needed evidence following an accident. If you are involved in a car accident, you need legal help. Reach out to Auger Law for assistance today. Representation by one of our experienced attorneys means that you won’t have to fight the insurance companies on your own and that you have someone in your corner. We look out for the best interests of each of our clients and put our knowledge and experience to best use. We can help you pay for repairs, cover your medical bills and even secure lost wages. Call today or browse our website to discover more about our firm and the types of cases we handle.